A struggling studio school with low pupil numbers and “significant financial challenges” will close this summer, it has been confirmed. 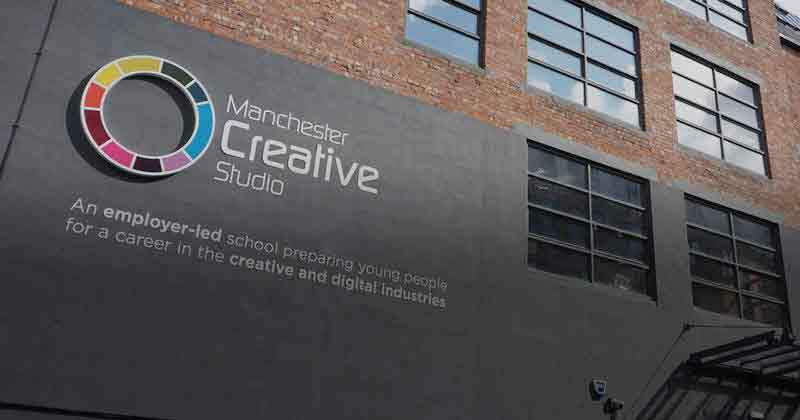 Manchester Creative Studio in Ancoats, which specialises in the digital and creative industries, and currently teaches around 40 pupils, will close at the end of the academic year, becoming the 18th studio school to close down since the project began. The closure will go ahead despite an injection of over £400,000 in emergency government funding. Martin Shevill, the chair of the school’s trustees, said the board agreed with the Department for Education that “it is right for the school to close”. The school, which employs 14 staff, did not take on new students last September, and Shevill said all learners will finish their GCSEs or level three qualifications before it closes. “All concerned will continue to ensure that the students who are at the school get the best possible education for the remainder of their studies,” he said. A spokesperson added the impact on students had been kept to a minimum, because the institution’s board “took the decision mid last year that the school would not take in any new year 10 or 12 students because they knew that closure was likely”. The board also knew they couldn’t guarantee a “good standard of education” and wanted to focus efforts on existing learners. Year 10 and 12 are the usual recruitment ages for studio schools, ahead of GCSE and A-levels respectively. The schools are an alternative to mainstream education for 14- to 19-year-olds, taking on cohorts of up to 300 pupils. They provide a work-related curriculum with pupils receiving vocational and academic qualifications, as well as work experience, and like the similarly-troubled university technical colleges, are seen by many in FE as unwelcome competition. Opened in 2014 by former charity boss Raja Miah, and focusing on vocational education, Manchester Creative Studio has faced a turbulent few years. It received a financial notice to improve in June 2016 after misjudging pupil numbers, and announced it would be rebrokered to a new sponsor in January last year. A consultation on the school’s future started in December, and pupils have today been informed of the planned closure. The school entered special measures last year after it was rated ‘inadequate’ in every category by Ofsted in March. Inspectors criticised “serious and widespread failures” in safeguarding, poor leadership, inadequate attendance and behaviour, poor teaching and low pupil achievement. They also noted the school was in the lowest one per cent nationally for pupils’ progress in maths and English in 2016. The Laurus Trust, who stepped in to help the school after the Ofsted inspection, were praised in October for leaving “no stone unturned in their quest to improve provision”. But it was reported two months later that the local regional schools commissioner, Vicky Beer, had written to everyone involved with the Manchester Creative Studio to inform them of a consultation on whether it should be closed or passed to another sponsor. It was one of 29 schools found to be “in danger of imminent failure” that received emergency government funding last year, with three grants totalling £403,875 channelled to the nearby Cheadle Hulme High School – part of the Laurus Trust – to support it. However, the school’s leaders ultimately decided it was “not realistic or viable” to keep it open. Despite significant government investment, many studio schools have struggled to attract enough pupils to be financially viable. Just 34 will be left open when Manchester Creative School closes this summer. OK, I’m going to say it again. We’ve spent an inordinate amount of money building, funding and shoring up these failed experiments. Money that could have been invested in the existing vocational delivery sector that can successfully deliver applied learning that enhances academic learning. Isn’t it time to stop looking elsewhere for a solution when we can utilise existing pre and post 16 provision to work in partnership, maximising the skills across the whole sector to deliver effective applied learning. Yes, I’m saying our sector could do this better!! Any organisation teaching 40 students with 14 staff should be ashamed of this track record and a full review of the how the allocated, and additional funding received was spent should be carried out. Well said, Noel. Absolutely spot on. 3 pupils per teacher – £10,000 per pupil spent shoring it up. Just wonder how many of the 14 teachers are getting SLT rates of pay. Also good to hear that OFSTED are looking at progress levels, & not being swayed by the “we’ve only had them for two years” argument.